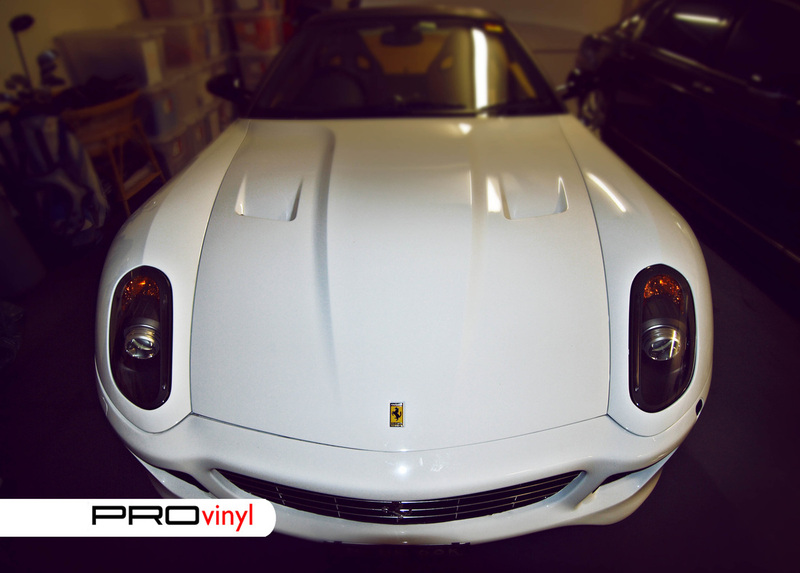 VINYL WRAPPING ALLOWS A FULL COLOR CHANGE WITHOUT ANY PAINTING AND GIVES YOU AN ABILITY TO CHANGE YOUR CAR FROM ITS STOCK FROM THE DEALERSHIP. THIS SERVICE IS PARTICULAR POPULAR AS THE COLOUR OF THE CAR YOU BUY, ISN'T ALWAYS A FACTOR YOU CAN AFFORD TO INDULGE IN. 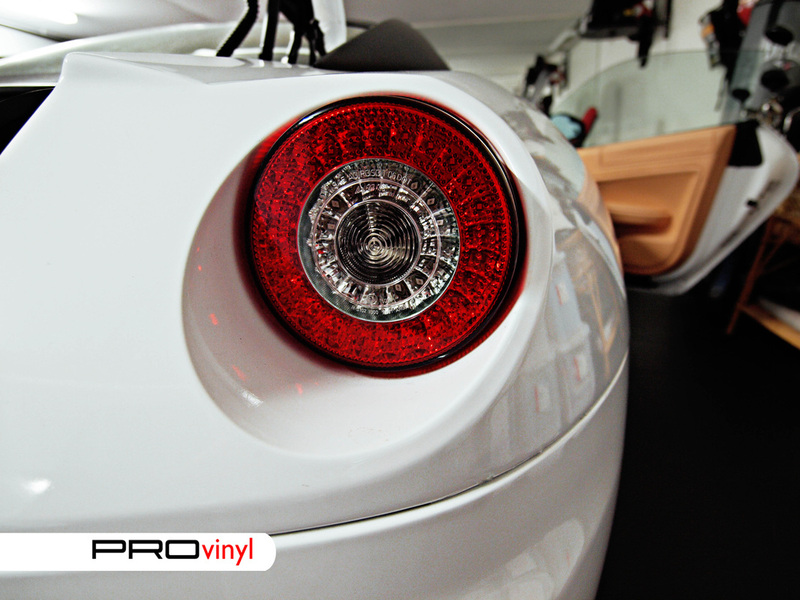 VINYL IS A MUCH CHEAPER OPTION THAN PAINT, AND ALSO PROTECTS THE ORIGINAL FACTORY PAINT WORK UNDERNEATH IT. 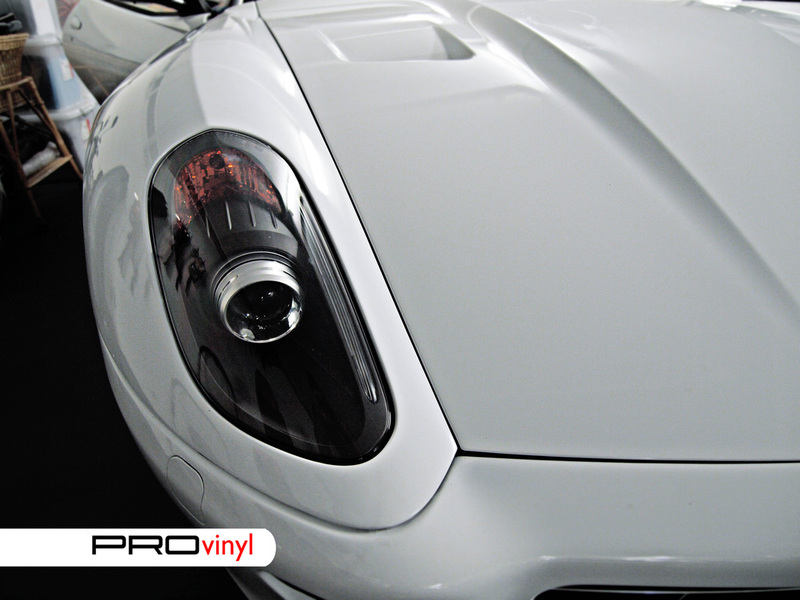 FERRARI 599 GTB BODY WRAPPED IN GLOSS WHITE AND ROOF WRAPPED IN CARBON FIBRE. THIS IS TRULY UNIQUE AND EXPENSIVE PROJECT. 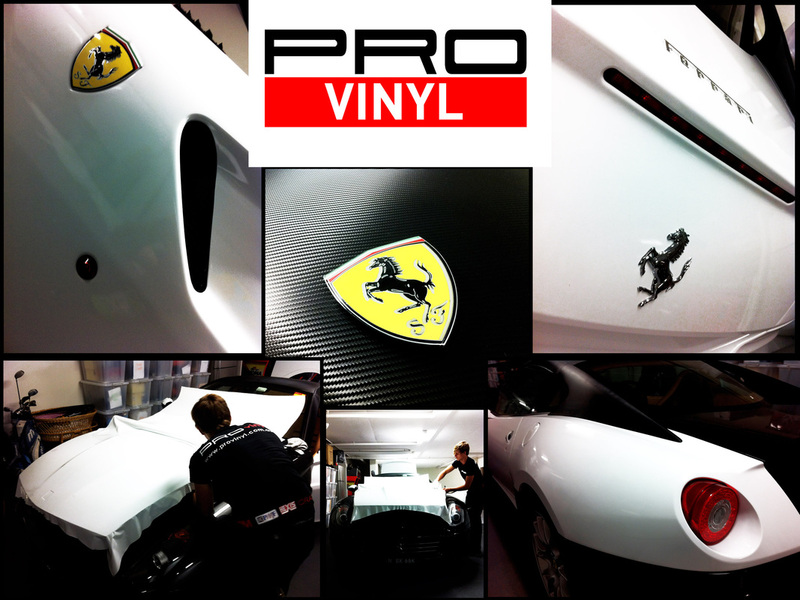 THIS PARTICULAR CLIENT ASKED US FOR OUR MOST EXPENSIVE PACKAGE, WITH MORE THAN THE EXTERNAL PANELS GETTING OUR VINYL TREATMENT. 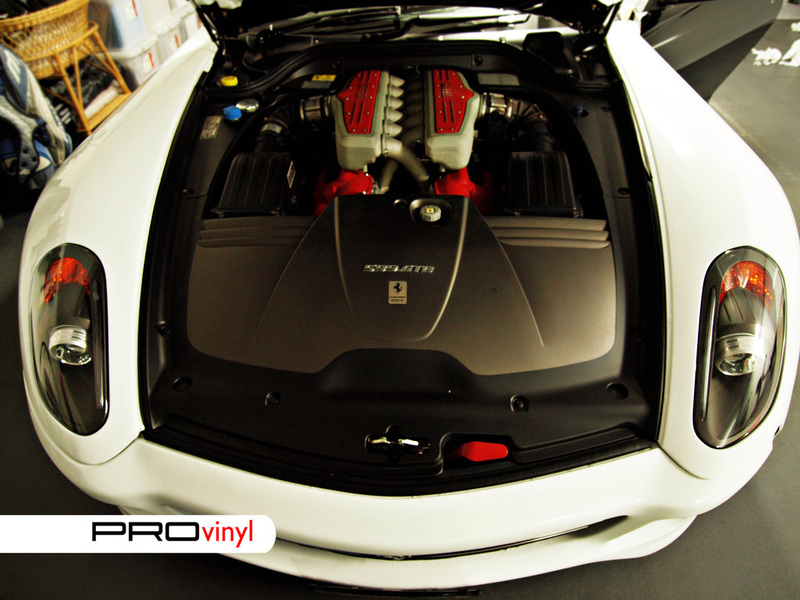 FROM THE DOOR SILLS TO THE INSIDE OF THE ENGINE BAY, ALL SURFACES WERE WRAPPED IN VINYL LEAVING NO TRACE OF THE COLOUR CHANGE THAT HAD BEEN DONE. A MASSIVE THANK-YOU TO THE CLIENT FOR TRUSTING US WITH HIS PRIDE AND JOY.